Ashley is noted for his equestrian and jazz subjects, Frank Ashley was born in Lincoln, Nebraska, on March, 17, 1920. He grew up in St. Paul, Minnesota, and studied at the University of Minnesota. During World War II, he served in the Army Air Corps, and while stationed in London, England, attended St. Martins School of Art. In 1945 he was discharged with the rank of captain. Upon his return to the United States, Ashley continued his studies at the American Academy of Art in Chicago, Illinois, and then at the Minneapolis Art Institute until 1947. He then moved to New York City where he studied with Reginald Marsh at the Art Students' League of New York, also acting as Marsh's assistant. In 1955 he married Betty Brader, a painter and illustrator; it was his third marriage. Beginning in 1960, Ashley portrayed equine subjects with increasing frequency, including in his paintings many of the great racecourses of England and France. From the middle 1970s to the early 1980s, he lived in Middleburg, Virginia, with his wife. There he painted local foxhunting, racing, and steeple chasing events. By the middle 1980s they moved to Carmel, California, where he was a member of the Carmel Art Association. 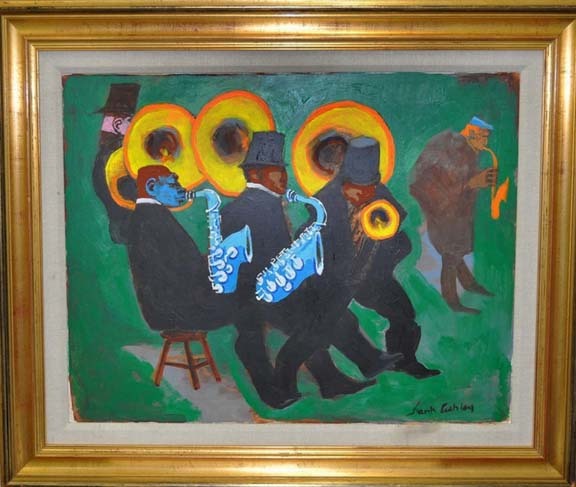 In Carmel he changed his focus to subjects of jazz musicians and popular culture. During the 1990s his subjects were often civil rights and environmental topics. Ashley's work has been exhibited at the Pennsylvania Academy of the Fine Arts in Philadelphia, the National Academy of Design in New York City, the Santa Barbara (California) Museum, and several prominent galleries in the United States and England. He won first prize at the American Veterans' Show in New York in 1953, the grand prize at the first Art USA show in New York in 1958, and the Alma Spreckels Award in 1964. In 1957 he produced a large portrait for Alfred Hitchcock's movie Vertigo. 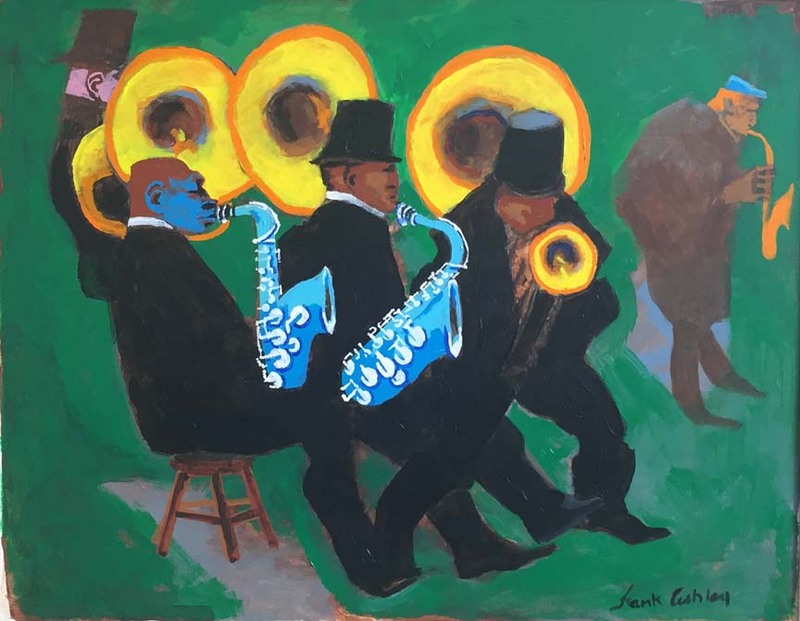 Institutions holding his work include Syracuse (New York) University, the Oak Lawn Racetrack in Arkansas, the California Jockey Club, and San Francisco (California) State University. Ashley was living in Monterey, California, as of 2006; he died December 16, 2007.